I know it sounds crazy, who would want to admit they take their kids to McDonald’s every year at the same time? In this crazy organic, gluten, and dairy free world what mother would admit to taking their kids for fast food? This one! Hear me out, its a treat, its childhood, its FUN! What special traditions do you have with your kiddos? 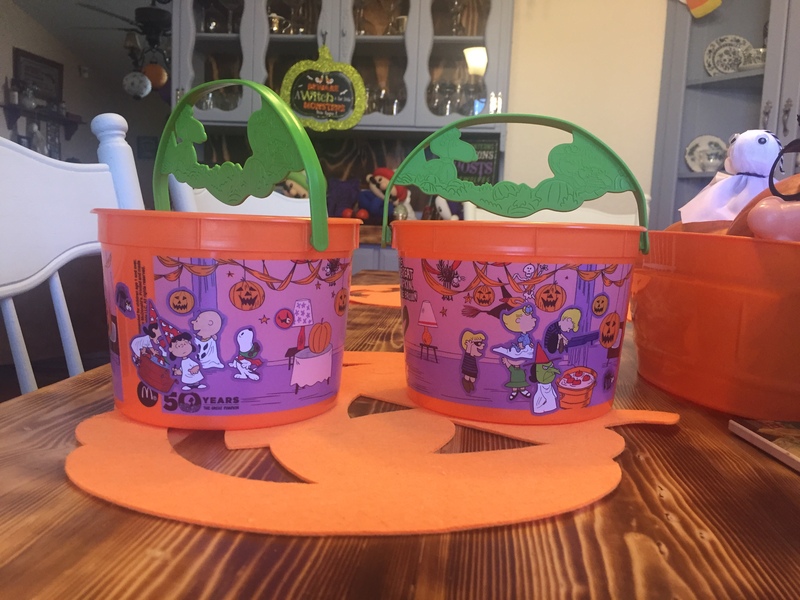 This entry was posted in Activities and tagged Activities, fun, halloween, Holidays, kids, mcdonalds, the boys store, Toys, traditions on October 25, 2016 by Lacy. Christmas is an excellent time to get creative. Some of the best memories in my family at holiday time are of us creating things together whether it is a craft or baking. Holiday crafts are also a wonderful way to chart your children growth over the years. A lot of my favorite holiday decorations are little clay ornaments with my children and nieces and nephews handprints, footprints, and pictures. I enjoy pulling those ornaments out every year and remembering the day we made them. I love them. 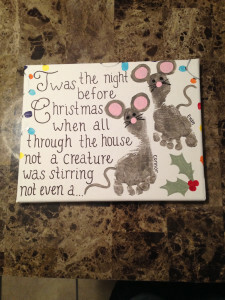 This year we are going to try this fun new craft, a footprint canvas with he night before christmas poem. Everyone knows the story of the night before christmas. “Not a creature was stirring, not even a mouse.” Well this year there will be little mice stirring, but it will be little mice footprints. Only you won’t want these mice to run away. For this adorable craft you need a little paint, brushes, a canvas, and your little ones sweet feet. Begin by painting the bottom of your little ones feet with grey paint. Then carefully press their little feet to the canvas toes down. Now you can use your paint brush to embellish their feet with ears, eyes, a nose, whiskers, and a tail. You can add little pink circles to embellish the erasing nose. Black whiskers, and black eyes. Now draw a little strand of lights around the edge of the canvas. Just a long wiggly line for the strand, then paint some different colors on your child’s fingers and let them place their fingerprints as the lights. Use as many colors as you want. Next, add a little holly with some green and red paint. Finally use your paint brush to carefully write out the poem from The Night Before Christmas. 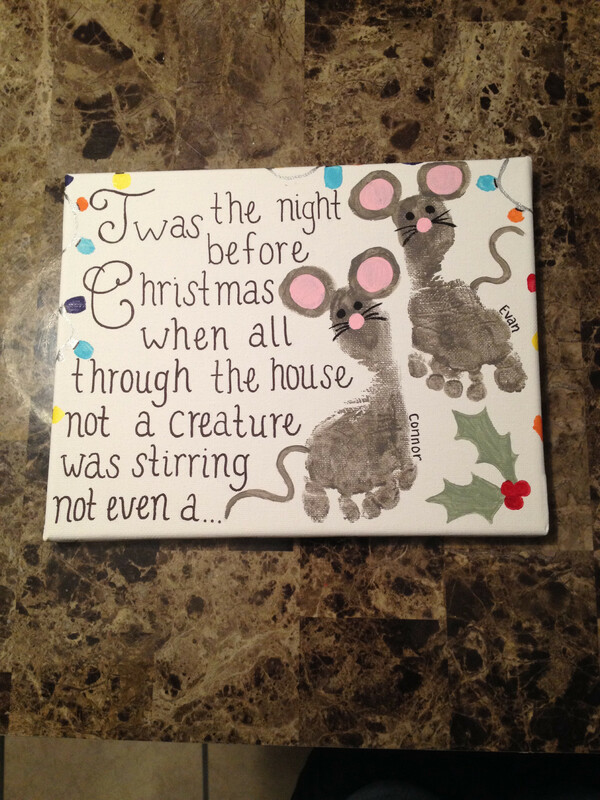 Allow to dry then you can hang this adorable memory every christmas! 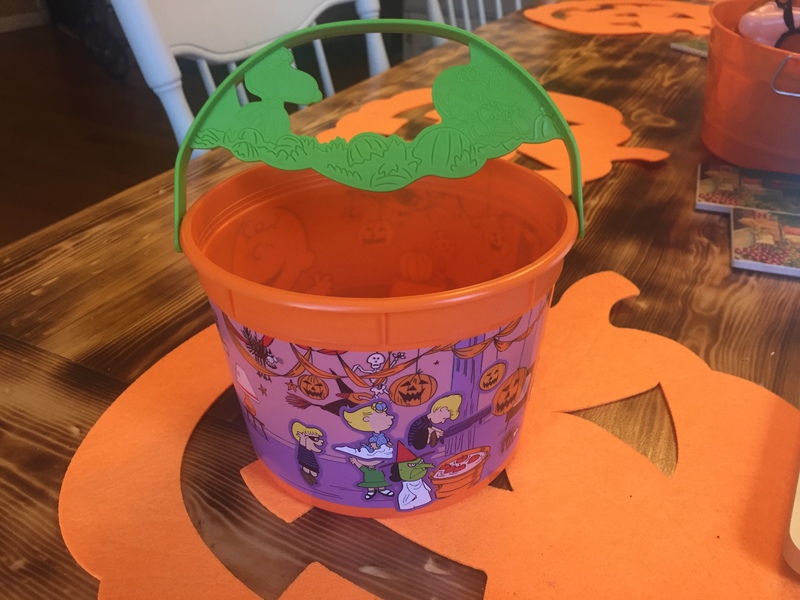 This entry was posted in Activities and tagged Activities, art, christmas crafts, crafts, footprint canvas, the boys store, the night before christmas, traditions on December 9, 2015 by Lacy.